Det årlige musikkbransjeseminaret SXSW i Austin, Tx åpner hvert år med en innledende taler (key note speach). De senere årene har åpningstalen vært avholdt i form av et åpningsintervju. Det er all grunn tilå tro at det blir svært trangt om plassene når filmskaperen Jonathan Demme skal samtale live med Young, som ellers ikke er kjent for å være spesielt snakkesalig. SXSW is honored to announce that Neil Young will be our Keynote for SXSW's 20th Anniversary year. Mr. Young will be joined in conversation by director Jonathan Demme, whose musical portrait of Young, »Neil Young / Heart Of Gold,« will screen at SXSW. The SXSW Keynote will take place Thursday, March 16, 2006. »Neil Young / Heart Of Gold« documents Mr. Young's 2005 Nashville performances which centered on his most recent album, »Prairie Wind.« »Prairie Wind« was reviewed as »Neil Young at his most inspired... an exquisite journey« by The Austin Chronicle. 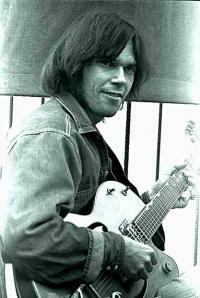 Neil Young's artistry and adventurous spirit have inspired acclaim and admiration for decades. Never content to rest on his laurels, each new project has furthered his reach, inviting new and old listeners alike along for an unpredictable and unforgettable musical journey. festival, which showcases over 1000 acts on stages throughout Austin.